Asian women are known for their delicate beauty and smooth, fair skin. This is probably why I’m always intrigued by any traditional skin lightening remedies from the Orient. One of these remedies is rice powder and rice water. What is rice powder? What is rice water? Rice powder is simply uncooked rice that has been ground into a fine powder. 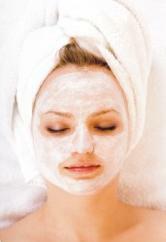 Water or milk added to rice powder creates a paste, which can be used as a face mask. Rice water is the nutrient-rich water that comes from soaking or washing uncooked rice. Rice water is cloudy in appearance. How can rice powder lighten our skin? There are plenty of anecdotes about how rice powder and more specifically, rice water, can keep our skin youthful and translucent looking. But why does rice powder work, exactly? Rice contains a high concentration of PABA. PABA (para aminobenzoic acid) is a very good sunscreen. When taken internally, PABA also raises the Vitamin C levels in our bodies. Rice also contains two other sun protecting agents – ferulic acid and allantoin. Allantoin is a good anti-inflammatory agent. It soothes sunburns and also promotes the skin’s repair. When applied as a paste on the skin, rice powder has been shown to inhibit tyrosinase. Washing your face in rice water can give you fairer and more translucent skin. While results will not be dramatic, you should see your skin become lighter within a month. The best part of this is that it’s so easy to do. 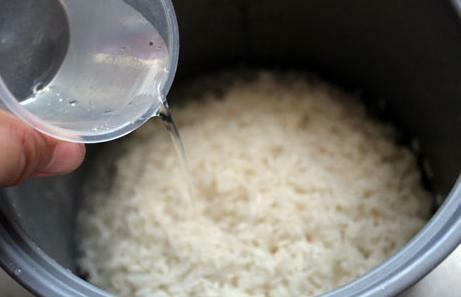 You can add water to uncooked rice to make your very own ‘rice water’ cleanser and toner. Step 1. Using a clean bowl, soak some uncooked brown rice, white rice or red rice in water. A handful of rice should be more than enough. Step 2. Run your fingers through this, as if you’re cleaning the rice. Step 3. The water should look pretty cloudy right now. Drain this water into another clean bowl. Step 4. Splash the ‘rice water’ over your face repeatedly (Tip: exfoliate your skin first with a scrub or washcloth so the rice water can be better absorbed). For even better skin lightening, do not towel your face dry but leave it damp to air-dry on its own. Frequency and results: Do this consistently at least once a week and you should see your skin lighten after a month. If you feel comfortable, you can also use it a few times a week. The ferulic acid in rice is not a very strong acid, and the water would have diluted/weakened the solution further, so there should not be skin sensitivity. However, always use your own good judgement as everyone’s skin is different. If you have more rice water left over, you can pat the remaining water on your face and neck or refrigerate the rest. If you’re not planning to eat the rice made from your rice water, there is one thing you can do with all that uncooked rice you used… Make it into a mask! Step 1. Grind a handful of uncooked rice into a fine powder. You can use a coffee grinder to do this. Step 2. Add some milk to the rice powder – enough to make it into a paste. Step 3. Apply this paste over your face and neck. Leave for 20-30 minutes. Step 4. Wash the mask off with some warm water. Frequency and results: Do this consistently at least once a week and you should see your skin lighten after a month. Rice paste will not only lead to fairer skin, but also a smoother complexion with fewer wrinkles. Would you be surprised to hear that the humble rice is used in many expensive cosmetics and skin creams? A few examples of these are Kose Moisture Skin Repair Cream, L’Occitane Purifying Rice Toner, Clarifying Rice Mask, Ultra Matte Face Fluid, and Elegant Minerals Rice Setting Powder. Here are three of the most common uses for rice in skincare and cosmetics. Used to absorb oil to achieve matte skin. If you have very oily skin, brushing rice powder lightly over your face will give you a very matte look. Because of this, it also makes an excellent base for make-up. Rice powder absorbs oil very well and keeps your make-up from fading throughout the day. In wrinkle creams. Many anti-aging skin creams and wrinkle creams contain ceramides that were extracted from rice. The ceramides in rice closely mimic our skin’s, which can give it a more youthful appearance. Mineral make-up. Rice powder is used in some loose or pressed powder compacts. It is especially found in mineral make-up. Rice powder does a good job of covering blemishes and flaws to give the skin a smooth finish, and yet it allows the skin to breathe and does not clog pores. Ferulic acid is a potent ubiquitous plant antioxidant. Its incorporation into a topical solution of 15% L-ascorbic acid and 1% tocopherol improved chemical stability of the vitamins (C+E) and doubled photoprotection to solar-simulated irradiation of skin from 4-fold to approximately 8-fold as measured by both erythema and sunburn cell formation. Inhibition of apoptosis was associated with reduced induction of caspase-3 and caspase-7. This antioxidant formulation efficiently reduced thymine dimer formation. This combination of pure natural low molecular weight antioxidants provides meaningful synergistic protection against oxidative stress in skin and should be useful for protection against photoaging and skin cancer. From the Journal of Investigative Dermatology (2005). Source: http://www.nature.com/jid/journal/v125/n4/full/5603565a.html Conclusion: Ferulic acid not only provides increased stability to a solution of vitamins C+E, but also adds a substantial synergistic photoprotection, essentially doubling its efficacy. Black skin, white skin, Asian skin - what's the difference? Previous PostPrevious Black skin, white skin, Asian skin – what’s the difference? PABA is not recommended for pregnant women, right? Is rice water safe to be used by pregnant women? when you can eat rice why can’t you use it on your face? Yes, I totally agree that rice powder works well.You’ll rather be suprised of its simple,cheap,yet effective way in clearing off pimples & minor zits effectivelt.I’m using Lancome & Clarins skincare,also Channel & La Praire,but will resolve to traditional rice powder whenever pimples or minor zits pop out of a sudden especially I’m in the midst of changing few skincare brand now.It helps in soothing and calming inflamme pimples very well.You can see your pimples swize reduce & dry up the next morning.It works better than clinelle pimples gelat times,though this is the best commercial I can find in the market so far.Whenever,I find my face is too stress due to heavy use of commercial skincare product,I’ll resort to just hydration serum & rice powder without whitening products /anti ageing cream before bed! Hi Ellah, coconut oil has worked really well for me whenever I get irritated skin. Maybe it can help your aunt as well? yes i use rice powder…and my skin gets fairer…. did it whiten your skin? How long does it take to see your face getting lighter after using the rice powder on the face? i mixed my rice flour with milk and left it on for 30 minutes like they suggested on here. This is my first time ever trying this. How long does it take to see results? By the way im a caramel african american. Im trying to be exact because i want to know how long it will take for me to see results since im not competely light skinned or dark skinned. Im going to be doing this for a month and see if i see any results. It can be used on the body as well, but it might be awkward/messy to use the paste there. A toner might work better. I am a person that eats rice everyday so I think I can apply these every day so i can lighten my skin quickly. just things i have around the house EVERYDAY. -has it lightend ur skin? My mum used to apply her home made rice powder on her face for over decades. Can it be used to remove or lighten pigments on the face? I was searching for some skincare products. I came across this rice powder issue. I always have rice at home and never really thought that this is a new, inexpensive skincare product. I am not sure but correct me. If you do not have rice at home perhaps the rice flour which is very,very cheap at Asian stores will be a great alternative. i will try to make it into a paste and will share what happens. can i use rice flour instead of rice powder, i cant find rice powder here in JHB, S.A.
rice powder and rice flour, are the same love 😀 LOOOL. my skin is very dry. is it ok for me to use it ??? because i heard somewhere that it is for oily skin. how long after its made is it safe for your skin? because this morning I noticed the odor wasn’t that nice . Is it still safe to use it ? -Do I need to Get rice powder? only grind,rice they will change into a fine powder.that will be rice powder. -how many times a week shall we do this? -Shall we put it daily or at night? -How long shall i keep on doing this for. When i was little i saw my big brother putting rice wayer on his face and i thought it was so funny but now i realized the reason why his putting it on his face my mom told him that it is good for skin especially for pimples.I’ve been using a lot of products to make my face looks fresh but it just getting worst and worst so i research home remedy to make ur face look youthful naturally and i found about this rice water and i’ve been trying it now for two days and i can tell its working my pores aren’t as open as before and it makes my face tighter like u have a face lift.Its really amazing and i enjoyed a lot using it as a toner i can smell the aroma of brown basmati rice.I love it thank u so much for sharing this its a huge help for me! can i use any kind of rice?? organic or not?? do they have the same effect? it is safe to apply rice powder on my skin everyday??? i used rice powder combined with mineral water, and it really works for me…the scars on my face made by pimples got fade away…thanks to those who post this rice powder stuff…. Does it matter if its fresh milk or tin milk? How many times a week would give optimum results? Is it suppose to be freshly made all the time? can people who suffer eczema try this method? I will pass this on to my Thai friends….EVERY TV program break there is a commercial advertising about lightening cream….I love the darker tone skin. I visited China a year ago this month and I think ALL of the Chinese were whitter than I am and I am WHITE! haha. I am really confused on how to make this rice mask paste… So I get some rice powder/flour, add a little bit of milk in, and that’s it…its made? and I leave it on for 20-30mins… Do I wash it off with normal warm water? because I have read above..you wash it off with rice water. Please help…e-mail me!! wow!i have been looking for a natural and cheapest way to smooth my face.Thanks for Remedies i will definitely give it a go. The above show steps for a toner and a mask. These are two different things. Can you use rice flour as a substituent for rice powder? woow.. i ll definitely try this. hey pls will brown rice flour work? ..and is 3 times a week too much? WHICH RICE IS MORE PREFERABLE WHITE RICE OR BROWN RICE? good day. i want to ask if how many times in a week can i apply this? is it twice a week? and how many week or months you’ll wait to see if your starting having a lighter skin? Hi faithalano, that info was already in the article, but I’ve expanded it now. Can we use this everyday is it safe??? i and my husband is blak skin my baby also have blak skin . i want to change baby skin i felt very sad about her color.because in her future she will face problems on this only. please give me suggestion or if any treatment. give me details. wow that was really sad to read. I’m sure your daughter won’t have any problems don’t be such a pessimist. I can tell by your basic grammar mistakes that your not smart. That you wrote something as silly as this. Angie – I agree that Shobha’s comment was sad to read, but insulting her is not helpful. Her grammar mistakes are not necessarily a sign of a lack of intelligence, it could just be that English is not her primary language. And, unfortunately many black children -do- still face problems because of their skin color. Where I live you can’t even get a taxi if the driver thinks you might be Somalian. It’s outright naive (not to mention disrespectful) to completely disregard Shobha’s concern. It is very sad that she feels the need to resort to trying to change the color of her child to give them a better life. unfortunately rice masks probably won’t cut it – the problem is not the child’s skin color, it’s the parts of the world that refuse to see the beauty in it. Yes your right. I admit what I said was harsh. While I agree with saya, Angie, YOU’RE grammar and punctuation leave a lot to be desired. Try spell and grammar check before throwing a “smack down” on someone else’s grammar. And always always check that attitude at the door. Please erase the last comment for it’s dumb. Shobha’s comment above upset me too, but I think it’s just as important to let our human nature be seen instead of censoring it from view. In a way, Shobha did a valuable thing by being honest. As disturbing, as misguided, and as sad as her words are — they reflect someone’s actual beliefs. plz help me is it rely works i have used so many creams bt dsnt work i have only one month left for my wedding . For the paste, does it matter if I use almond milk or soy milk instead of cow’s milk? I have a low tolerance for lactose so I don’t tend to have a lot of milk lying around…thanks! Yes, you can use other types of milk. They’ll have their own skin benefits. For example, soy milk is moisturizing. Almond milk is also excellent. Im starting the mask today, using rice flour and mineral water. It’s on my face right now and feels amazing. I plan on doing this 3 times a week and seeing if there are results. I have combination acne prone skin, I’m 35 and fair completed with a bit of constant redness that I am trying to diminish. Woww.. back home in Indonesia/Bali, Rice along with some spices and herbs mixture have been used as the main source for skin care treatment ( called Lulur bath) as wel as Cold & Flu and stiff muscle remedies(called Boreh), Ancient time Princesses are using the mixture of Rice powder & turmeric as the body scrub or exfoliation, these days we mixes Rice powder with Avocado, Jicama, Papaya or anything that have a great benefit for the skin and believe me you can do it as often as you want, as some comments said, if you can eat rice anytime, so what will be the harm on applying it to your skin.. other tips for body scrub you can either mix the rice with yogurt, apply it to your skin wait untill the rice paste half dry then you can scrub it, back home if we used the mixture of rice & turmeric we use the yogurt after the scrub done to soothe the yellow color from the turmeric and smoothen the skin..